St. Pius X (Cedar Mill, OR) vs Our Lady of the Lake (Lake Oswego, OR). 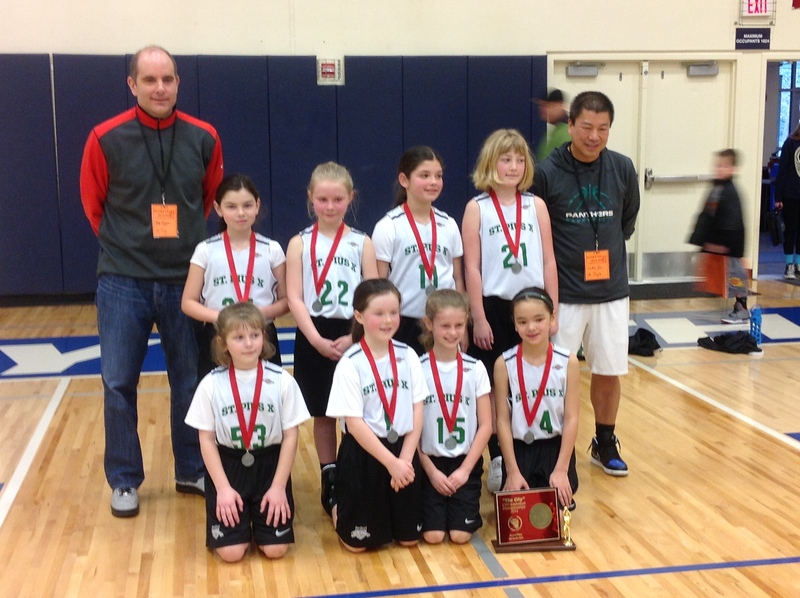 The third grade bracket this year featured 17 girls teams. 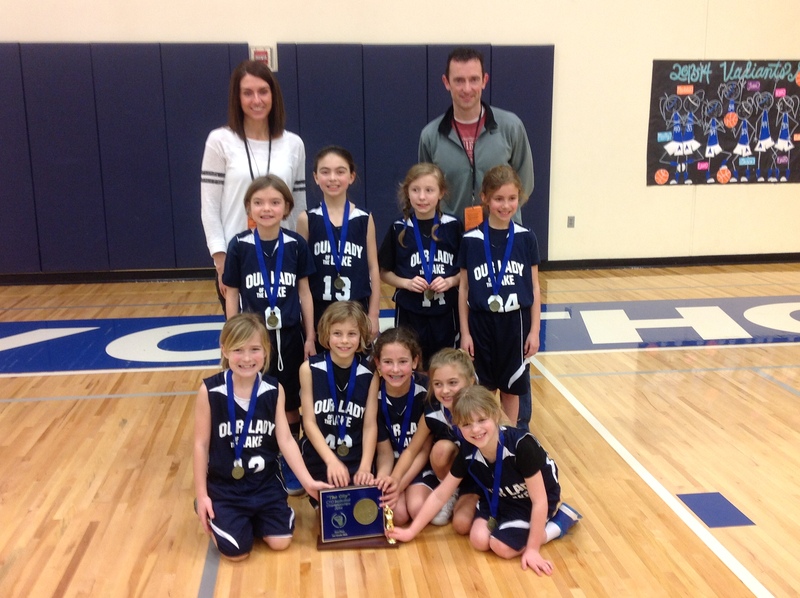 St. Pius X met Our Lady of the Lake in February in a close regular season contest where St. Pius won 24 to 20. Beyond the variety of small colorful basketball shoes, jerseys tucked in covering half the number on the back, matching socks (nothing like volleyball) the teams fought it out in a very athletic contest for third grade girls. Excellent coaching was obvious to this spectator!